Arriving a week and a half after the first public beta, the second beta is available to download from the Apple Beta Software Program website by users enrolled into the testing scheme. 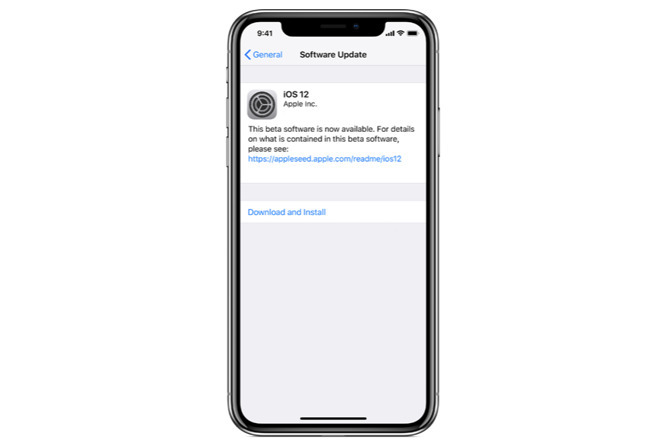 Users need to log into the beta site using the device they wish to use for testing, then download the configuration file for iOS 12 before it is downloaded and installed. Functionally, the beta is similar to the latest developer beta released earlier this week. This includes fixes to the GPS and CarPlay disconnection bugs which were present in earlier beta builds. Following announced plans to improve the Maps app with first-party data gathered by Apple Maps vans instead of third-parties, users based in the San Francisco Bay Area are able to see some of the improvements for themselves before the rest of the world in the latest release. Maps provides more data to users in the beta than in the current public version of the app, with the changes expected to be built out throughout California before expanding to the rest of the U.S. next year. In the Messages app, there are new sticker options for Activities. Appearing for everyone, rather than being unlocked or earned, the stickers could potentially be used when communicating with others about workouts or other fitness activities. These changes and others accompany the rest of other enhancements arriving in iOS 12 later this year. The list includes new Siri Shortcuts, Screen Time, updates to Do Not Disturb functions, overhauled first-party apps, and general performance boosts, among other alterations. As with any beta release, Apple iOS 12 and others are not necessarily stable enough for everyday use, and AppleInsider advises not to install such software onto mission-critical hardware. Due to the potential for data loss, backups are highly recommended before attempting to install the public beta. Update: Apple on Thursday also seeded the second public beta of tvOS 12 to members of the program. According to AppleInsider reader Richard, the latest release carried the build number 16J5313d.